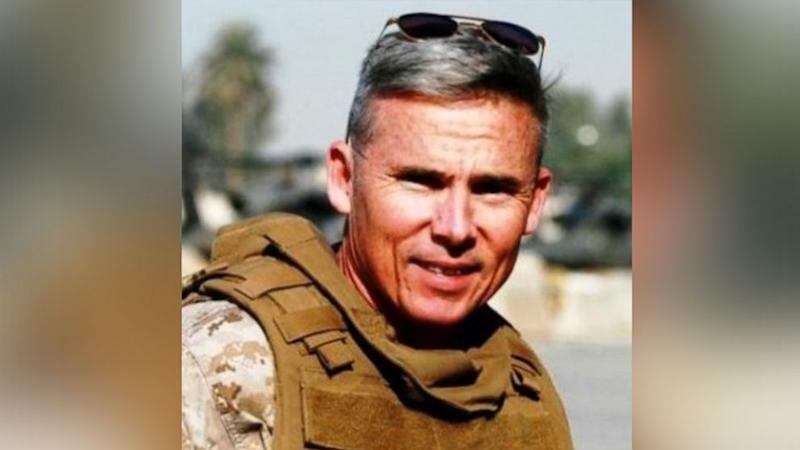 Retired Marine Col. Lee Busby wanted to make sure one thing was clear as he rolled out his U.S. Senate campaign Monday in Alabama. “I want to get something in — how to spell my name. L-e-e B-u-s-b-y. I want the voters to know that,” he said. As the race for Attorney General Jeff Sessions’ old Senate seat has become consumed with sexual misconduct allegations against Republican nominee Roy Moore, Busby launched his eleventh-hour campaign hoping to capitalize on voters’ dissatisfaction with the choices on the ballot. With the election just two weeks away, Busby recognizes the long odds against him. But he believes his qualifications — he served in the military for 31 years — make him a viable alternative to Moore and the Democratic nominee, Doug Jones. When it comes to the allegations of sexual misconduct against Moore, Busby said he isn’t interested in that topic of discussion. “I view it as I don’t have an opinion and don’t care. I mean, it’s a mess. It’s not my mess, and as a voter, I’ve decided not to try to get immersed in figuring out what happened and what didn’t. I have no interest in it,” he said. He is targeting voters outside the traditional Republican and Democratic bases, which he believes will remain loyal to the two major candidates. “I do think that there’s this huge swath between those margins that is very open to a candidacy like this one,” he said. Busby is a former top aide to White House chief of staff John Kelly, serving as his vice chief of staff when Kelly was a three-star lieutenant general. Busby said he has not spoken to Kelly since deciding to run and did not coordinate his candidacy with Kelly. “Gen. Kelly and I haven’t talked in about five years. But I’ve very much enjoyed watching his ascendancy to the spot that he is,” Busby said. Busby lives in Tuscaloosa, Alabama, and has spent time as a small-business owner and an entrepreneur. 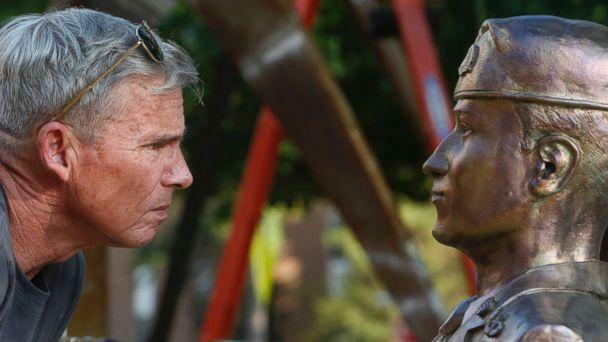 Over the last few years, he has been sculpting bronze memorial busts of Alabamians who were killed fighting in Iraq and Afghanistan, places he served. The special election will be held on Dec. 12, and Busby is relishing the chance to make his case to Alabama voters. “With my throwing my name in the hat, this is now a three-way gunfight,” he said.